EARTH CITY, MO (June 13, 2017) – The DEUTZ Service Center in the St. Louis metropolitan area will host an open house from 10:00 AM to 4:00 PM on Friday, June 23. The open house will feature a barbecue lunch, outdoor games, and giveaways for those in attendance. DEUTZ customers, dealers and OEM partners are all welcome to attend. Located at 4282 Shoreline Drive in Earth City, MO, this DEUTZ Service Center is the second of its kind in the United States. It officially opened for business on January 3, 2017 with the goal of providing world-class customer support of all DEUTZ product lines. The St. Louis Service Center currently serves customers across the Midwest, including Eastern Missouri, Illinois and Northern Indiana. 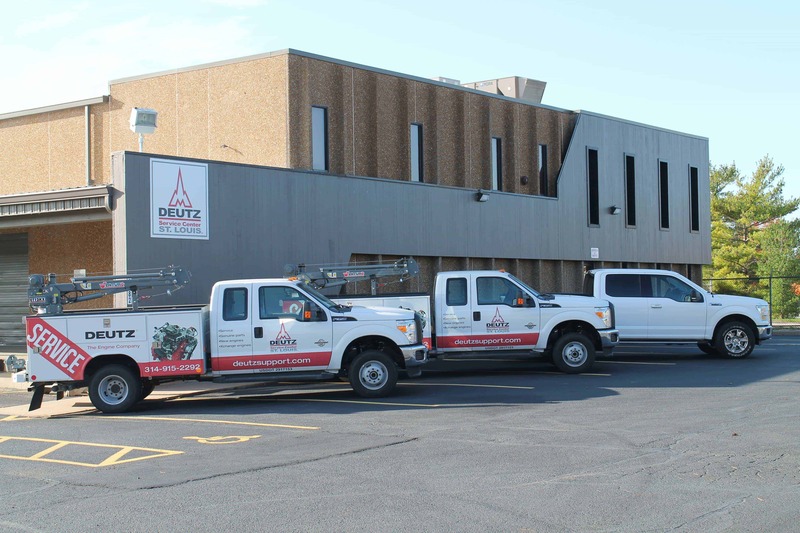 DEUTZ Service Centers provide regularly scheduled maintenance and emergency service of DEUTZ engines at its location or at customer sites via traveling service technicians and trucks. DEUTZ Service Centers also sell genuine DEUTZ parts and fluids to customers, dealers and qualified OEM dealers with DEUTZ-powered equipment. Technicians can readily tackle various service tasks, from simple oil-and-filter changes to advanced diagnostics to complete engine replacements. To learn more about DEUTZ Power Centers or Service Centers, as well as the complete line of DEUTZ diesel and natural gas engines, please visit www.deutzsupport.com. For more than 150 years, DEUTZ engines have supplied customized, cost-effective power to a broad array of machine types and market segments. The nine-millionth DEUTZ engine was produced in 2015. From its headquarters in Norcross, GA, DEUTZ Corporation, a subsidiary of DEUTZ AG, supports its product range of 30- to 700-hp diesel and natural gas engines. The company is committed to providing optimized power solutions from the drawing board to prototype to production release. The organization serves as a sales, service, parts, and application engineering center for the Americas, employing nearly 200 people. DEUTZ Corporation also operates a value-added production facility for some of its key OEM partners, as well as an engine remanufacturing facility in Pendergrass, Georgia. Strategically located DEUTZ Power Centers and Service Centers are designed uniquely support both OEM partners and end users. For more information, visit www.deutzamericas.com.